Saudi Arabia has allowed Turkish authorities to comb its consulate in Istanbul for presence of Saudi dissident journalist who has gone missing since last week, as Ankara believes the missing critic is still in the facility despite the kingdom’s claims that he left the building the day he entered it for some paperwork. Turkey’s Foreign Ministry Tuesday said the Saudi mission will undergo a search in cooperation with the kingdom’s authorities who wrote a note in that regard, Turkish Sabah Daily reports. 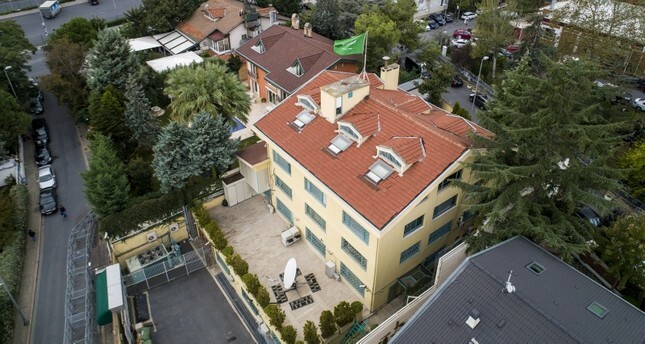 “The Kingdom of Saudi Arabia invites Turkish experts and relevant officials to visit the Istanbul Consulate in line with the cooperation principle with the government of the Republic of Turkey and due to the importance the Kingdom of Saudi Arabia lays on finding the truth about the disappearance incident of Saudi Arabian citizen, son of Hamza Jamal Ahmad Khashoggi,” the note stated. The search, according to the ministry, will take place in the framework of the Vienna Convention on Consular Relations as the host country and with the permission of the Saudi chief of mission. The consulate made the headlines after Saudi journalist Khashoggi who has been living in exile in the US since last year went missing after entering the diplomatic facility last week for some documents for his divorce in view of getting re-married to his Turkish fiancée who waited for him outside the diplomatic compound on that Tuesday (Oct. 2). The journalist’s fiancée and friends alerted the Turkish security authorities over the mysterious disappearance. Saudi Arabia claimed that Khashoggi left the building, rejecting therefore Turkish authorities’ position that the journalist is still in the facility and might even have been killed inside. Turkish President Recep Tayyip Erdogan Monday said he is closely monitoring the investigations, and called Saudi Arabia to provide evidence that the journalist left the mission. Tuesday, a footage of the Saudi citizen entering the consulate emerged but there has been no footage of his exit. Turkish investigators believe the consulate’s CCTV might have been taken away by suspected 15 hitmen reportedly from the kingdom who were in the consulate the day Khashoggi disappeared. The men allegedly from the Saudi spy service arrived in Turkey in two separate private planes. The aircrafts later left for Riyadh with one stopping over in Dubai while the other in Egypt. Written by: KanelkaTagba on October 10, 2018. Posted by KanelkaTagba on Oct 10 2018. Filed under Headlines, World News. You can follow any responses to this entry through the RSS 2.0. Both comments and pings are currently closed.